I audio-reviewed this Mr. Wilson offering HERE. For the record, I am on said record as grading it a B+ and shortly afterward wondering why I didn't go "A." To be perfectly clear, and to restate what I have said numerous times elsewhere, I give an A- to A+ grading to any stick I consider a "must try." + is derived from at least one instance of an audible "wow." A is flawlesss. A- can then be seen as imperfect but something special resides therein. Courtesy of Mr. Brandon K. Wilson. I do so appreciate your kind sampler, Mr. Wilson -- but what kinda recipe is that, kind sir??? I was gonna make this at home and now, nothing! Harumph, gentlepersons. There is a large part of me, though, which appreciates a tick more info in order to gain another notch more of understanding and hence -- deeper enjoyment. Ah, well. Enjoyment is as enjoyment does. Or something. Double banded. I have no opinion on this. I'd like to again mention, humsoever, my dislike re: foot bands. Or of paper foot bands, to be exact. I think a foot RIBBON is a lovely thing which enhances the visual as well as tactile endeavor. Double band, though, and to reiterate: meh. The secondary band in question is in keeping with the downtown conservative linear chic of the gold, red, and white main band -- and states "MR. WILSON" in gold on white. Nice bit of branding. As to the stick itself, the clean lines of its packaging seem somewhat oddly juxtaposed to its roughish-hewn surface. The chisel of the Torpedo is imperfectly wrapped, although upon investigation, it seems cosmetic, only. There is a tick of a blemish, a smallish sunspot looking thing in a couple of tiny places. Overall, a very dark complected espresso bean hue, and fairly evenly so. No real undertones and minimal marbling. 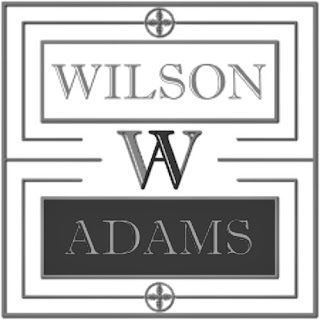 Wilson Adams is not only unafraid to furnish quite vein-ridden offerings, but is nice enough to throw the veins in free of charge. As I look at the offering in the sun, a bit of yellow comes to the surface. Tobacco at the foot peeks out at me with a cocoa brownness and same slight yellow under-tone. a few high-light ticks up to blonde. Medium+ density. Hand-feel is a very fine toothed sandpaper. Balance is a tad awkward on account of ring gauge and being a Torpedo. Nothing egregious. A bit dry. Medium+ at least on the Charmin test squeeze, and evenly so throughout. I notice there is the slightest touch of a flaring out at the foot. Very interesting schnoz as I find my umami sense triggered. Somewhat exotic spices. Very woody. Backing of leather barnyard. Quite fruity at the foot; an apple orchard. I get little tricky with he chisel tip, as I use my Old Timer pocket knife to 'punch' a whole in its side instead of shearing off the tip. What I'm looking for is a directed burst right toward my palate. Cold draw is sweet apple orchard including wood, but also a separate cedar and some dull or muted red and pepper spices. I'm delivered this on a medium+ resistance of a draw -- reminding you again, dear reader, how I cut the stick. Dry cedar, apple wood, and white pepper are released into the aroma upon toasting the foot. It takes a good bit to toast, on account of its density. First hot draw is very much apple cider. The peppers involved are interesting, a finely ground red pepper laced with a hint of cayenne, and a well-roasted white pepper of a bit more coarseness. Cedar note is quite sweet and clings into a sweet apple cider finish. Here and there, are kitchen spices. A second hot pull is retro-haled and just amplifies nicely, what I already have seen. On a third hot one, comes Raisinettes. Ash is more pepper than salt and quite more toothy than the wrapper lets on. Burn is a little off, but we shall see, its line is near razor. Where it's lagging is where a bit of seam has risen up. Draw is still at medium+ and pack density holds right up to the burn-line. As I type, the ash is attempting to form a nascent sheath, if not to even. I'm sticking with a medium but pushing + profile at this early stage. Oy. Primary notes are the pepper mix and apple orchard to cider on the finish. Secondary notes are Raisinettes. Mouth-feel is a bit of not derived from dairy creaminess. Perhaps the other secondary note of a creamy and spiced cedar. Finish is that cedar and cider and all is carried by a nice earthy and clean backing. Perhaps a trace of golden hay there. Burn has corrected, as its line thickens to a medium, and smoke out-put is up a tick to a good medium on each end. Foot and room-notes are very much apple orchard with a bit of sun drenched hay. My curiosity satiated, I guillotine off the cap and VOOSH. Pedal to the metal time, gentlepersons. Kitchen spices are baking spices now and peppers warm and flare on both draw and retro-hale. Apple wood delineates somewhat from the apple, as if the apple was plucked and thrown in a wicker basket. I taste wicker. Wood shaving, if ya will. A new hardwood note, that -- alongside the still plugging along creamy and spiced cedar. Raisinettes lose their raisin and instead of calling the new note "ettes," I shall dub it "chocolate." Of the milk varietal. This milk increases the body to a medium+. Flavors are medium+ as well, and strength lags a tick at medium -- but I know what to expect. Burn never has reached even, but too never required a re-touch. Line thins to, well, thin. Ash is unchanged and I perhaps forgot to mention more oily than it appears. Smoke pours and aroma is unchanged. Caramel hits the apple note and enters the cider. Peppers don't subdue a bit but roast and become a kinder thing. Cinamon rears up from the baker's spice. Chocolate becomes a bigger player. The backing remains hard to peg... I get earth and hay intermittently and never together. It's a full-bodied offering now, this Mr. Wilson, but in a refreshing or at least un-cumbersome manner. Not in an abysmal albatross way. A very nice kicking off of an early and lengthy transition in which strength hits medium+ and oils set in from I ain't sure where -- inherent to the tobacco would be my guess. Burn is now even. Pace quickens a tick. Interestingly, shearing off the cap did not down-tick the draw resistance, as it's a still medium+. I roll off an inch of oily pepper-salt ash of an envious density. As transition ends, malt comes on. Chocolate is now a malt, but also a new wheat malt is apparent and is becoming a new backing. A quite high backing which elevates the already elevated flavors. Full length finish same as prior but with a rather heady maltiness. Apple cider and orchard will not quit. Baker's spices plug along. Peppers do, as well. I am enjoying the lack of black pepper and the use of white and red. Cayenne has hidden a while. Caramel separates from apple at transition's end and toasts into the creamy mouth-feel and lingers to and through finish. My one gripe is a somewhat lack of dimension, as all notes are seemingly of the primary variety less the mouth-feel and finish. Earth and hay are Gonesville, Daddy-o. Most mysterious of all, Malts kaput without a lick of a warning. Construction is a near marvel and all notes there are unchanged. A kinder full-profile, I dares ya to find. I am immersed in a summer quilt on a chilly autumn day. As the final act beckons, I sense a return of roasted cayenne on my tongue and notice a crack in the wrapper just ahead of the burn -- it is cosmetic, only. Strength is a less gentlemanly near full. I put a pinch of salt in my smoke-hole. Some mottling here, which creeps in as is inherent in the character of this stick. Nothing is overt -- all is an allusion to. An interesting manner in which to go about things. That small crack gets smoked through sans event and the ash darkens. A tick up is noticed on the draw and less smoke gives less zetz in the chest. Mellowing. A sweet tobacco comes in and it is sweetened further by a reintroduction of raisin which is rehydrated by oils. A near perfume sensation. Woods subdue and a mulch is the new backing. Chocolate soars. Peppers subdue. Creaminess ups a notch and is sweeter than prior. A cigar which serves its own desert. Softer but no less powerful. At the band I now get a baked apple vibe. Butter. Construction softens a tick and holds just as well as ever it did. Into the band, out-put of smoky smoke smokens and I begin to think ahead to a toothpick as I recline in my hard wooden kitchen chair on my oddly warm and sunny front porch. 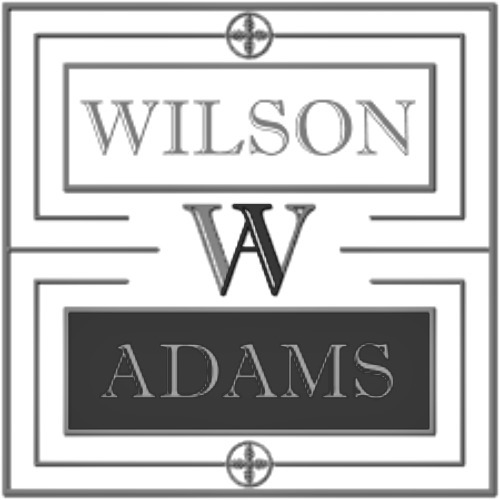 I am vindicated in my original B+ grade, and too, I am fully satiated by this Wilson Adams offering.